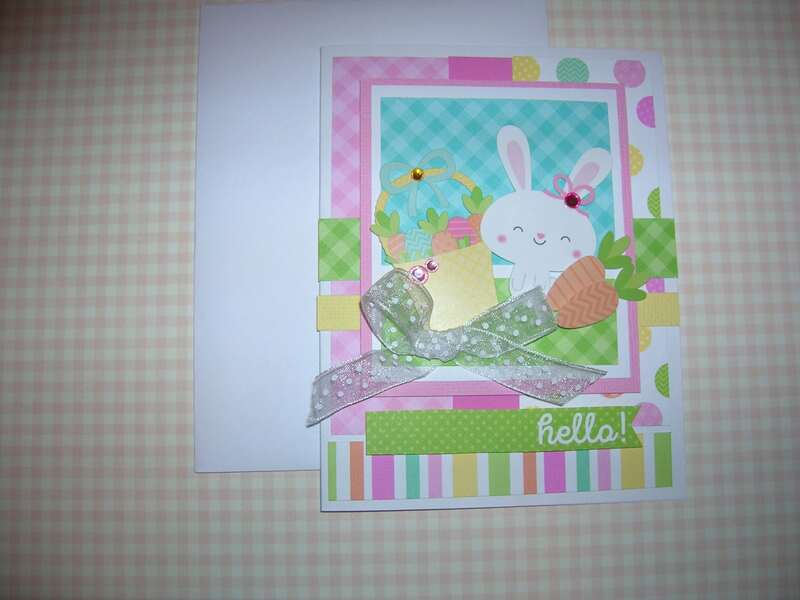 One seasonal Easter Greeting Card with envelope. Card size is 4 1/4" x 5 1/2". Handmade with designer paper and Easter stickers accented with embellishments. All of my cards come shipped in a padded envelope for extra protection.